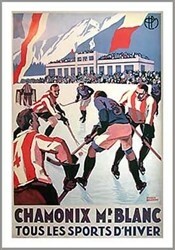 Available in two sizes: 20 x 30 and 24 x 36 inches. 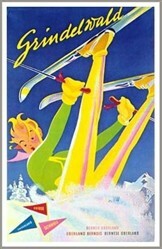 When skis were wood and thongs were leather straps on your bindings… This reproduction poster is from the 1920’s. 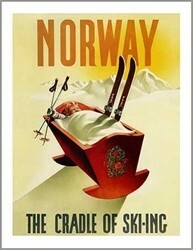 By the 1930’s Northland and Lund claimed to be the largest ski maker in the world. 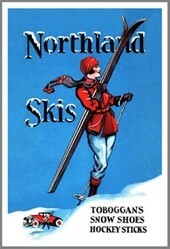 Northland and Lund Ski Companies made skis, hockey sticks, toboggans and sleds from 1911 to 1974, in St. Paul MN and Laconia, NH.